Hello there! Happy Friday, what a week it’s been though. Before we get to today’s favorites I first need to take a moment to talk about the most recent school shooting that happened at Great Mills High School. Great Mills is only a little south of us, it’s the neighboring county and we play them in sports. The shooting was way too close to home and I’m thinking about the students and families affected by the tragedy. As students gather this weekend for the March for Our Lives in DC I hope it can bring attention to gun laws and mental health, both of which I believe need to be addressed in order to prevent tragedies like this happening again. Now switching gears, this past weekend I celebrated (very low-key) my 30th birthday. We also had a snow day on Wednesday, yes the first full day of Spring we received about 4 inches of snow. So I have several yummy eats to share with you, let’s get to it along with a few other Friday Favorites. I took the day after my birthday off from work and so did Tom so we could spend the Friday together. We started the morning with a couples workout in our garage. We have dumbbells, bands, and a barbell so it’s pretty easy to get a great workout in. After we each made a protein shake and got ready for the day. We drove up to the National Harbor Outlets for a little shopping. I was able to find a new pair of running shoes which I desperately needed. Then we headed over to Old Town Alexandria for lunch. 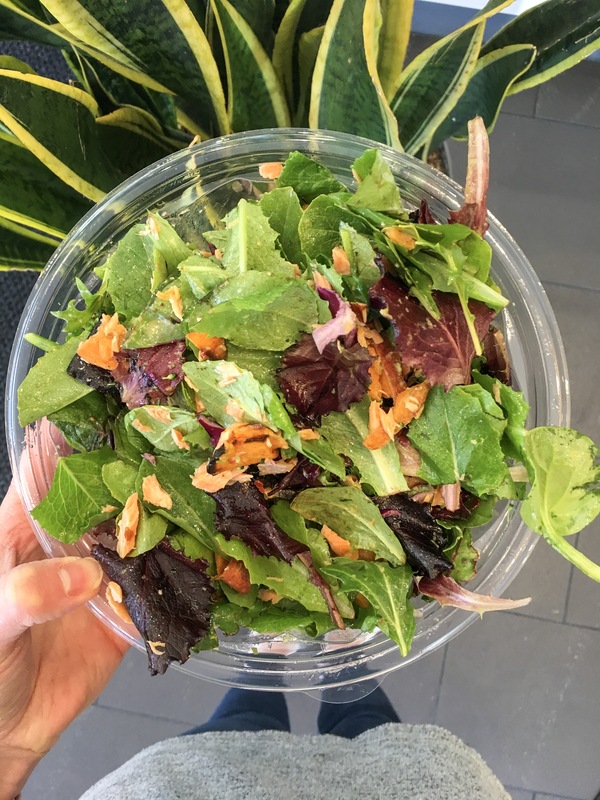 I had been craving a giant salad from Sweetgreen and to my surprise Tom was actually pretty excited about it too. He gets the Harvest Bowl and I usually make my own. We both ate every bite. After lunch we walked around Old Town a bit. We went inside Lululemon where I tried on and bought a new pair of workout pants. Loving how these In Movement 7/8 leggings feel. My sweet tooth kicked in the minute we walked past Nice Cream, I had been wanting to visit here for a while. 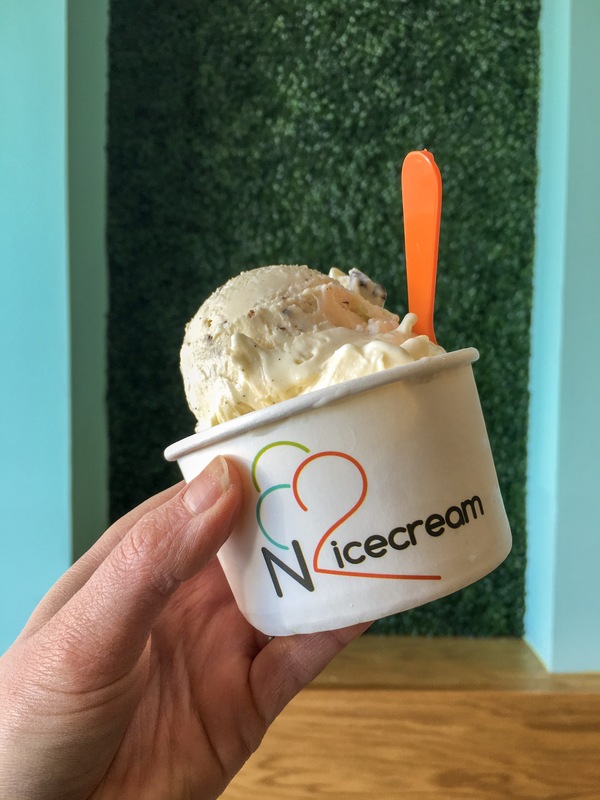 They make all of their ice cream from local ingredients and use liquid nitrogen and mix it up right in front of you. It was a really cool process to watch and the ice cream was delicious! I got one scoop of vanilla chocolate chunk and one salted caramel. 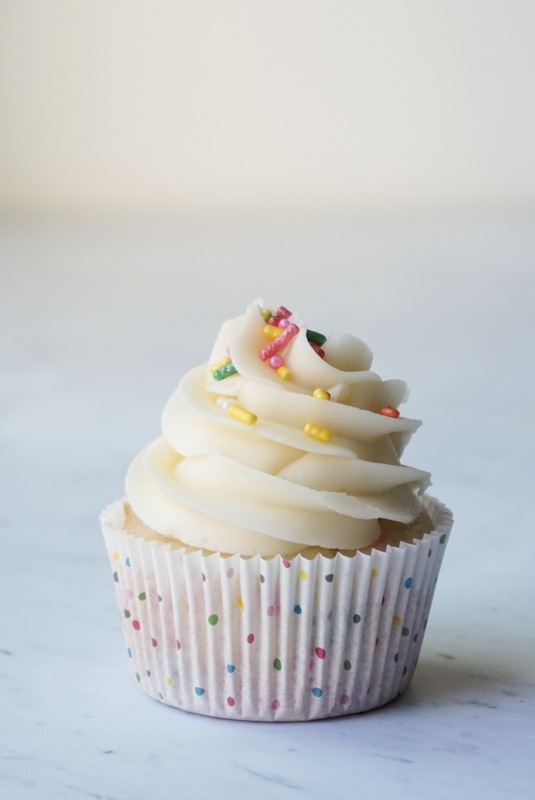 Extra sprinkles on top of cupcakes was about as crazy as my birthday weekend got. Tom got me tickets for a Nationals Baseball game where we plan to celebrate with friends in May. It was back to reality for two days at the beginning of the work week, but as soon as I saw the chance for some snow I anticipated a day off. On Wednesday we woke up to a snow day and got a nice long sleep in. A 10 hour sleep in, that never happens and it felt amazing. 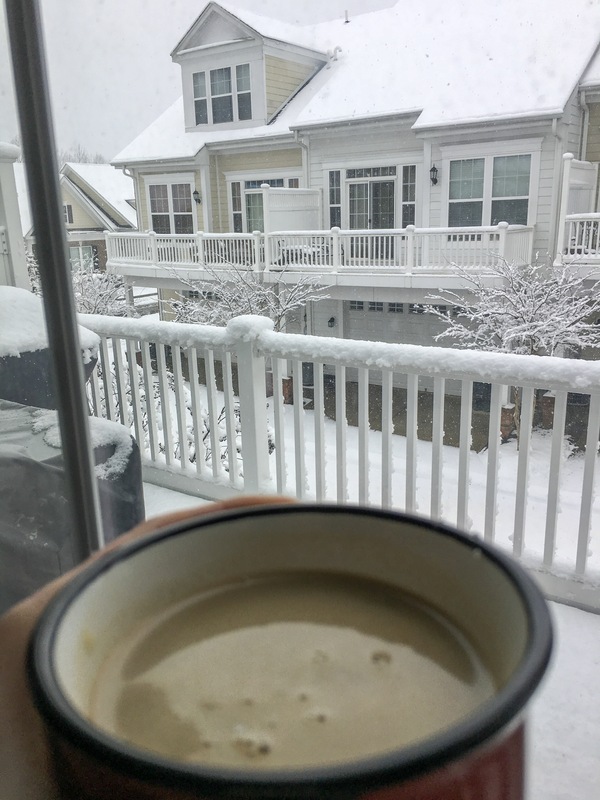 Once we were up I did some yoga while watching the snow fall and enjoyed the view as I sipped my morning coffee with Vital Proteins Collagen Creamer. I used the day to relax and get a few things done around the house and yes I spent the entire day in my PJ’s and walked less than 2,000 steps according to my birthday present, an apple watch. 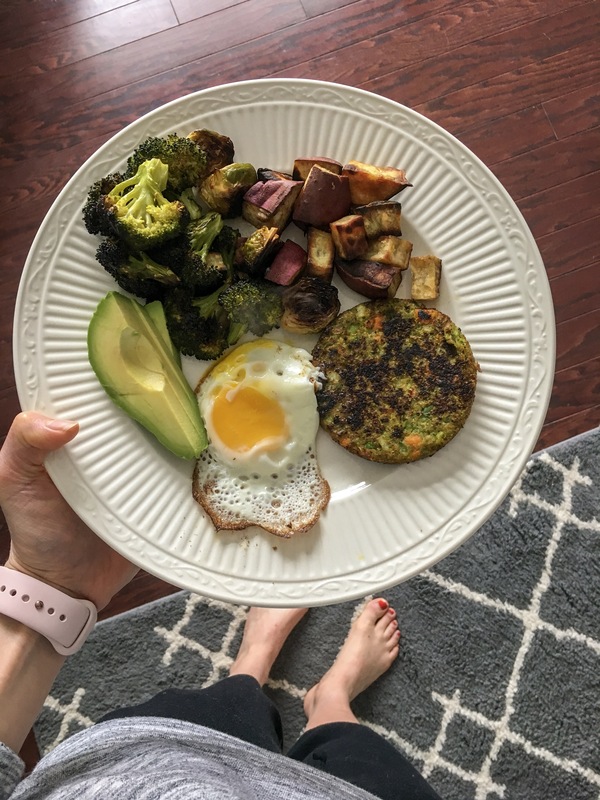 The highlight was this lunch combo I made of a Dr. Praeger’s veggie burger, roasted vegetables (read my secrets to perfectly roasted veggies here), an egg, and avocado was filling and delicious. How I wish I could make lunch at home everyday, sigh. 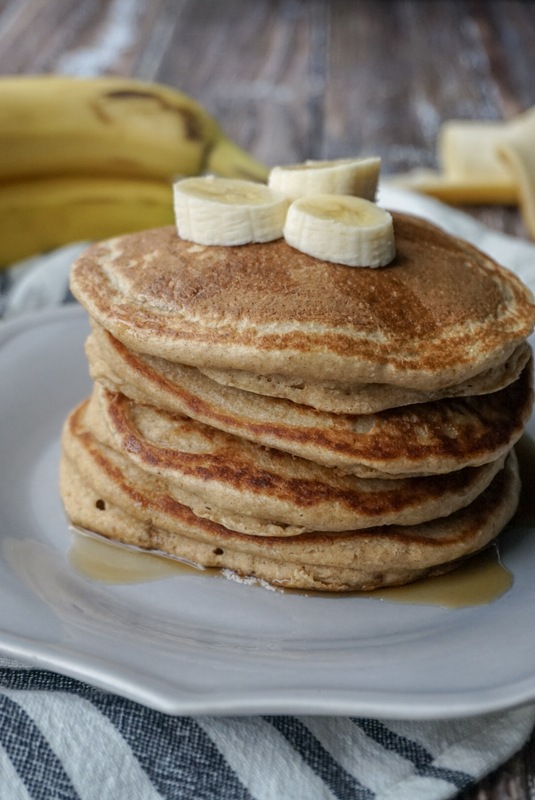 In case you missed it on Sweet and Strong this week I posted my favorite healthy pancake recipe, these Banana Oatmeal Blender Pancakes. Simply add all the ingredients to a blender to make the batter. Food Trends: I want to try all these Healthy Foods hitting grocery stores this year. Nut Butter Cup Week: Fit Foodie Finds did a whole week dedicated to nut butter cups, which are my favorite healthy dessert. I can’t wait to try these healthy Thin Mint Almond Butter Cups. Meal Prep: Solutions to the 5 reasons people don’t meal prep. I literally don’t know what I used to eat before meal prepping, it has saved me so much time and money. I shared this Spring Muddy Buddy Recipe last year and am thinking of making it this weekend to celebrate Spring. Even though it still feels like winter out. I’m such a sucker for all the seasonal M&M’s. After all those birthday desserts I needed a good cardio workout. This Treadmill Incline Workout is one of my favs and can easily be modified. Time to get those booties ready for Summer right! Hope you have a great weekend. Be sure to come over and see what’s happening on Instagram and say Hi! Did you get a snow day this week? Happy Birthday! Sounds like you had a great weekend! That cupcake look delicious. I love that flavor. I love a good snow storm. It doesn’t make me feel guilty taking a day off from working out. Thanks Lacey. And that’s exactly how I felt on the Snow Day, it was the perfect excuse to do nothing and I loved it. Hope you have a great weekend. Thanks Farrah! And yay for snow days, even though now I’m totally ready for some Spring weather. Hope you have a great weekend. Thanks so much Deborah. And yum, I do love some chocolate frosting, as a kid I used to only eat the frosting and leave the cake part, hehe. Happy birthday, girl!! Your day date sounded perfect. Have a great weekend! Thanks so much Emily! It was so fun extend the weekend and have a date day together. Happy Weekend! Happy Birthday! We got TWO snow days this week, but we probably didn’t need yesterday off..all the snow was melted off the roads pretty early. But this teacher’s not complaining! Enjoy your weekend! Oh I do love getting two days off in a row though, but when the suns out and the snows melting it doesn’t feel as cozy, lol. Hope you enjoyed your short week and have a great weekend! Sounds like you had a killer birthday! Im loving that the snow is almost melted and I can golf outside. Literally so ready for spring temperatures, we finally have some 60’s in the forecast at the end of next week, yay! Sounds like you had a nice day! That muddy buddy recipe is so pretty and perfect for spring!! I loved the traditional muddy buddies, but this recipe is much prettier, lol. Have a great weekend Kelli! Happy Belated birthday! That ice cream looks so delicious!! Thanks Ana! It was so good and so fun to watch, she literally poured the milk in and then nitrogen and a few seconds later is was ice cream, so crazy! Happy belated birthday lady! Welcome to the 30s club 🙂 Your birthday cupcakes look delicious! I can’t believe how much snow the northeast has gotten lately! What a nutty end to winter right at the start of springtime. Thanks so much Nicole, I’m so glad to be a member of the 30’s club, I think it’s going to be a great decade. And We have barely gotten any snow and then a late march snow storm and now it’s still so cold out, uh. My parents in Cleveland got a lot this year though. Makes me want to move to CA!! !